This cbus05 classic was published in 2014, during the height of Holuhraun. It is well worth re-reading, and so we are very happy to give it a rerun. And we are equally happy to commend his Big-Volcanic.com blog to you! In light of the extremely unique and interesting events going on at Vatnajökull, it’s interesting to ponder how different they can be from one another. I had originally intended that this post would be an ordered ranking of the strangest volcanoes in the world, but you really can’t form proper comparisons between one type of weirdness and another. The other problem I had is a lack of information. Part of the issue is that a lot of money goes into researching a limited amount of volcanoes every year. Due to requiring grants to fund research, researchers typically focus more of their attention on volcanoes that are currently erupting, close to large population centers, and in countries that can afford to subsidize such research. So while there are likely many more oddballs out there, they may not be known or studied enough to make it into this post. In this post – I’ve separated out a grouping of 8 volcanoes in no particular order, and listed what it is that makes them particularly strange. Most of these volcanoes are somewhat well known, and a few have had posts on here already. Hopefully, this post will raise as many questions as it provides answers 🙂 . What makes Clear Lake odd? The foremost oddity of clear lake is that its formation and existence is still a bit of a mystery. It does not sit on a subduction zone, it does not sit on a rift zone, and it does not sit on a hot spot. So how does Clear Lake volcanic field exist? Clear lake actually sits at the end of the San Andreas fault, and its formation is likely a result of an extremely complex area of tectonic activity. According to the USGS, after subduction stopped in California over 2 million years ago, a slab gap opened up in this area (which is also a tectonic triple junction) resulting in upwelling magma. While subduction has stopped, the complex tectonic setting caused localized spreading, which likely feeds the ongoing volcanism in the area. Clear Lake doesn’t have any known eruptive pattern. If anything, the pattern for Clear Lake’s activity is that there is no pattern. Eruptions were fairly active from 60,000 years ago until 10,000 years ago, and since then they have all but stopped. While there have been no large eruptions at Clear Lake, it seems to be bimodal with basaltic eruptions as well as rhyolitic lava flows and dacitic eruptions. What Makes Clear Lake extra odd? The final kicker that makes Clear Lake interesting and weird? It’s HUGE. Most people living in San Francisco wouldn’t have a clue that such a massive volcano sits relatively close to them. How large is Clear Lake? Clear Lake’s magma chamber is estimated to be around 1400 cubic kilometers, that’s enormous by any standard . 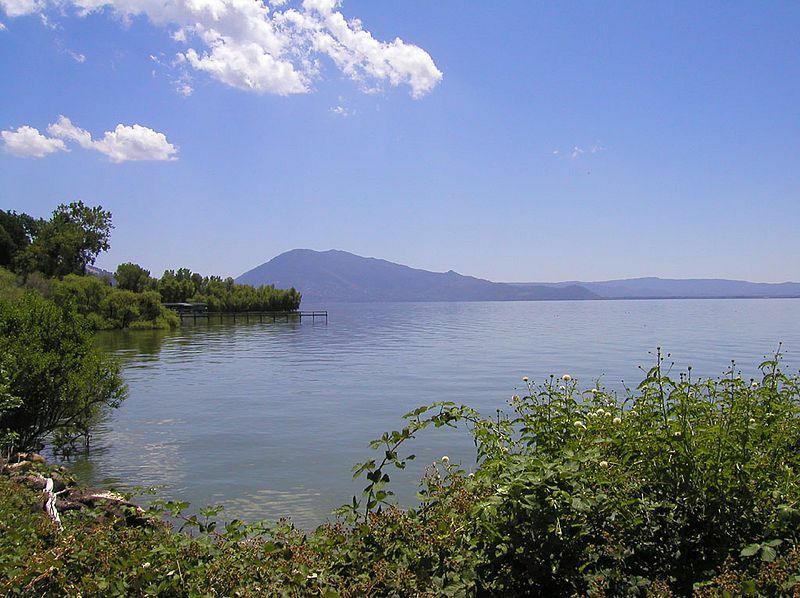 The USGS page even suggests that Clear Lake is potentially in a pre-caldera evolutionary stage, making it potentially similar to Long Valley, its neighbor to the east. Clear Lake doesn’t seem likely to erupt at all during our life time, but its huge magma chamber does provide one of the most productive geothermal energy plants in the entire world. So all in all, just about everything with Clear Lake is strange. If you want to find a volcano truly in the middle of nowhere, you’ll either have to go to somewhere extremely remote and cold, or conversely, somewhere extremely hot and dry. For the hot and dry category, there are far less candidates, and Emi Koussi fits the bill as one of the biggest oddballs out there. Emi Koussi was the single volcano chosen to replicate the conditions on Mars – what else needs to be said? Emi Koussi sits almost directly in the center of the Sahara Desert in the nation of Chad. Like other volcanoes on this list, it’s not a rift volcano, and it’s certainly not a subduction volcano. This makes the most likely culprit of its existence a hot spot, although there is no noticeable hot spot track, indicating that its either a newer hot spot, or a localized hot spot that is fixed to the plate. Emi Koussi is not a small volcanic system. It’s a pyroclastic shield volcano with two nested 12×15 km calderas (2) indicating that its had a few very explosive and large eruptions. It also sits on the middle of an elongated fault line, where numerous small eruptive centers can be seen up to 75 km away from the Caldera. 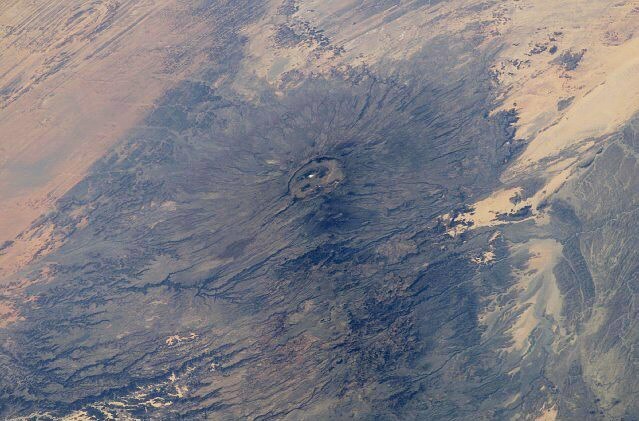 While Emi Koussi is the most well known volcano, there are actually numerous pyroclastic shield volcanoes (Emi Koussi, Tarso Toon, Tarso Voon, Tarso Yega, and Toussidé) in the area from where it originates known as the Tibesti mountains. The Tibesti mountains themselves are almost entirely volcanic in nature, having formed from numerous large lava plateaus along with sandstone and other volcanic sequences. What makes Emi Koussi extra odd? While not many people debate the fact that these volcanoes are the result of a hot spot, one strange (or impressive) fact is that this is a rare hot spot volcano that sits beneath the middle of a craton. Cratons are extremely thick, extremely strong pieces of continental rock, that typically serve as the anchors from which other land mass is built off. In this instance, the lithosphere is estimated at 130 km thick (according to “Volcanoes of the Tibesti massif (Chad, northern Africa)”), making it incredibly unique that a volcano punched through the middle of it. For reference of how impressive this is, many people speculate that Yellowstone will completely die once it migrates beneath the North American craton. This leaves some questions about mantle plumes in general and their potential causes. Hekla is perhaps the most popular volcano over here at Volcano Cafe. There may be some bias since there is a lot of research available on Hekla, or because it’s Carl’s personal favorite. With that said, Hekla deserves all the attention she gets, partially due to the eruption frequency seen, and partially due to the oddities that come from Hekla. Since we’ve covered Hekla in detail many times, I’m not going to go into a high level detail about it. For those interested, read the links below for more details about Hekla. In short, Hekla is an extremely quirky stratovolcano. It behaves both as a rifting shield volcano would, but also has a lot of elements that you see from stratovolcanos such as evolved magma, a composite edifice, and explosive eruptions. What makes Hekla extra odd? The strangest part of Hekla is how it doesn’t show the typical signs of eruption you would see at other volcanoes. 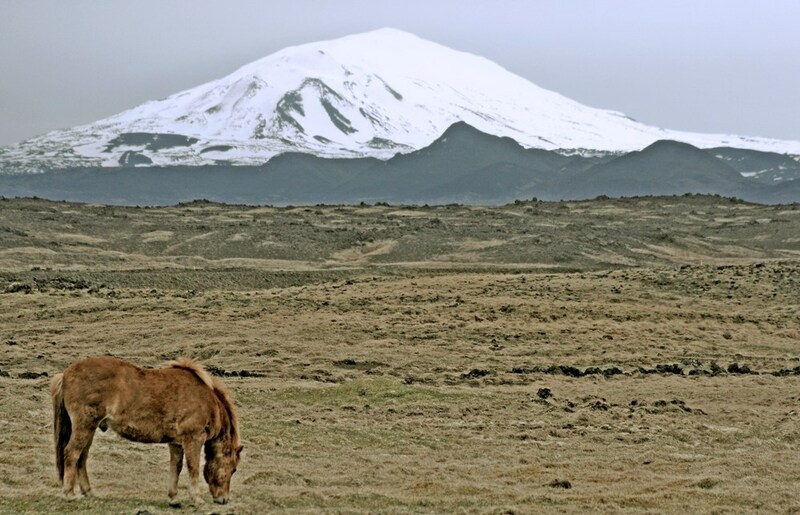 Hekla is nearly aseismic, so any earthquake that DOES happen in the Hekla area is a big deal. 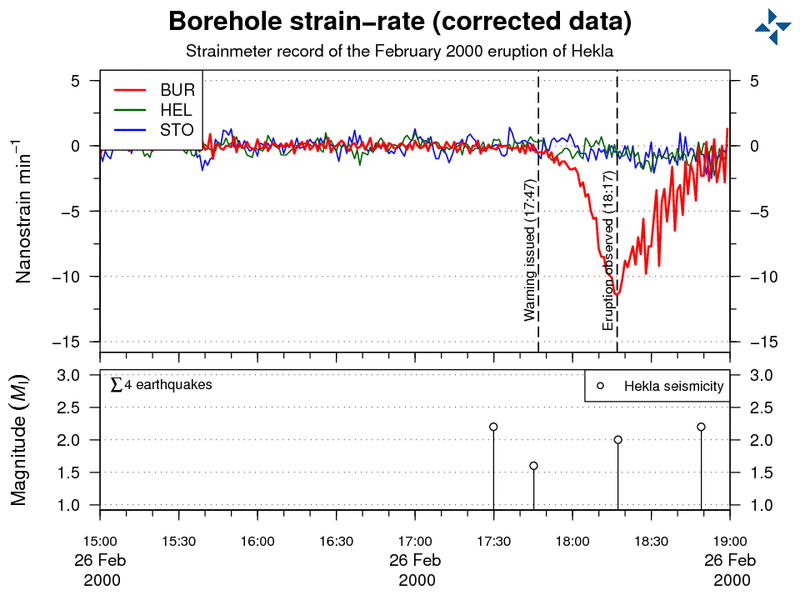 Hekla also shows very little to no inflation prior to a major eruption, which is extremely uncommon. Both of these characteristics fit more in line with spreading centers such as you would see from an eruption in Iceland’s dead zone (similar to Laki), except Hekla eruptions start out with explosive evolved magma similar to stratovolcanos. Needless to say, the tectonic setting is extremely complex, and the sudden onset of eruptions from Hekla with little warning make Hekla an extremely interesting volcano to pay attention to. Ol Doinyo Lengai is a symmetrical stratovolcano located in the middle of the African rift valley. Lengai erupts relatively frequently, although most of its eruptions are rather benign. Ol Doinyo Lengai is well documented as an extremely unique volcano. Among all volcanoes in the world, Lengai is the only volcano that has been known to erupt live natrocarbonatite magma, which is an extremely cold, extremely rare magma. Standard magma is full of silicate, but carbonatite magma is instead comprised primarily of rare sodium, potassium carbonite, and other uncommon minerals. What makes Lengai Extra Strange? 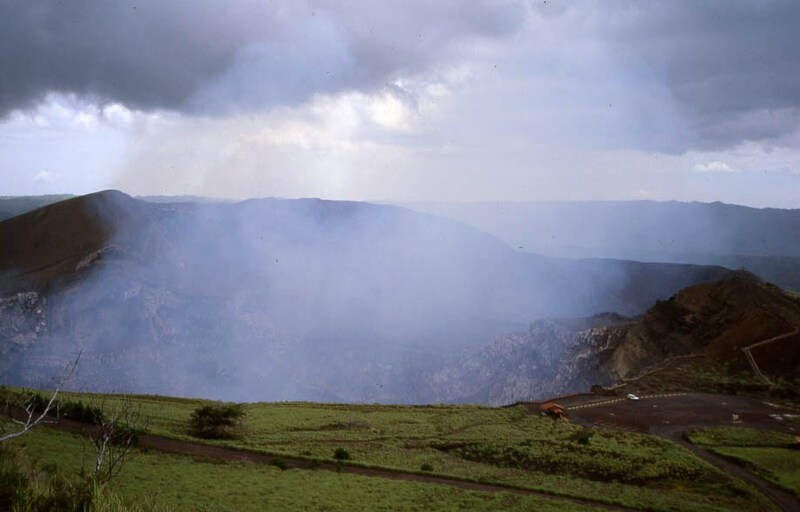 Lengai sits on the edge of the Tanzanian Craton, which many speculate is the reason for the unique magma composition. As the magma plume from the African rift wells up from deep within the earth, it’s been proposed that the plume melts and mixes with minerals and material sitting on the side and the bottom of the Tanzanian craton, which is why we get such a unique mineral profile. While magma and ash is typically conducive towards providing fertile soil to grow crops, Carbonatite magma makes standard ash seem like poison. Carbonatite magma provides some of the most fertile soil in the world, which plays a large role in the ecosystem and the incredible biodiversity in the Serengeti. While carbonatite magma is very fertile, it also weathers and solidifies into a cement like material, which blocks tree roots from growing deep underground, thus influencing the vast grassland in the region. This area may even have played a large role in the evolution of mankind. Mount Cameroon is an ancient volcano located on the coast of Cameroon on a corner where the land forms a 90 degree angle. It is a well known shield volcano that has erupted frequently in historical time. What Makes Mount Cameroon strange? Before reading anything here, I would highly encourage people to read Carl’s independent post on Mount Cameroon here. Mount Cameroon is an ancient volcano. 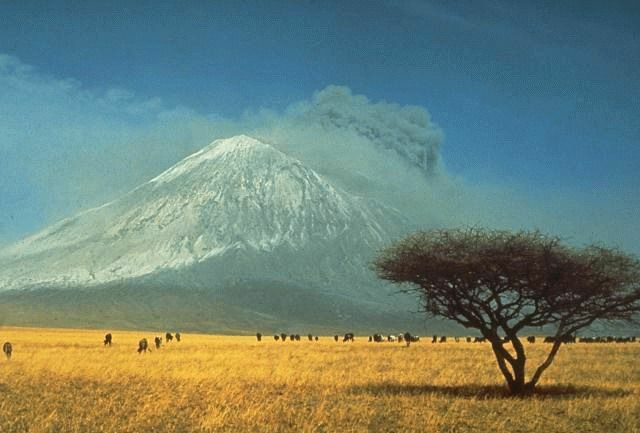 And by ancient, it may possibly be the oldest still-active volcano in the world, with volcanic activity in the Cameroon Line (the fault area which the volcanoes in Cameroon lie) originating over 30 million years ago. Furthermore, the area features one of the world’s largest magma reservoirs that has ever been mapped. 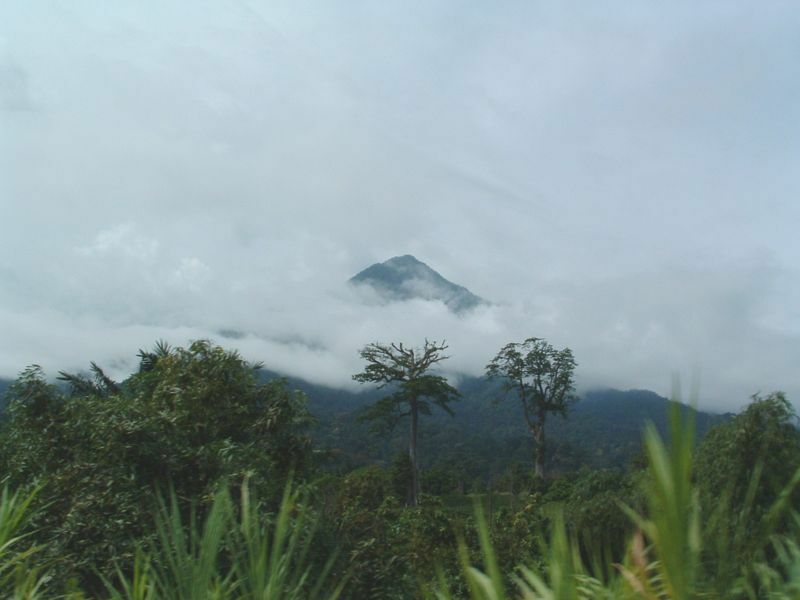 What Makes Mount Cameroon Extra Strange? The fact that Mount Cameroon is still going strong after the area has seen millions of years of eruptions is incredible. Most feel that the area is part of a rift zone that originated during the breakup of the African and south american continents. While this potentially explains some of the volcanism, considering the rift only seems to be marginally active, it brings up the question of how it has supported over 30 million years worth of volcanism. So when I started writing this post, I really didn’t want to include Yellowstone. It was my hope to provide some information about the lesser-known, yet still odd volcanoes in the world. But if I’m going to be unbiased, it’s important to recognize just how strange Yellowstone really is. Beyond the obvious “it’s big” argument, there is really quite a lot that makes Yellowstone a unique flower. There are no other volcanoes in the world that share even a remotely similar hydrothermal system. Geysers exist elsewhere, but very few of the other major caldera systems around the world show similar levels of geysers, hot springs, and thermal features that are so well known at Yellowstone. Why is it that Yellowstone’s thermal features are so much more prominent than other volcanoes? Yellowstone is currently the only massive caldera system in the world that was formed largely due to hotspot volcanism. Most other massive caldera systems (ie: supervolcanos) sit within active subduction zones (Toba, Taupo, the Altiplano Calderas, etc). The hotspot track doesn’t accurately reflect plate motion as it moves on a curve instead of a linear motion. While this is likely the result of the hotspot following the track of least resistance and moving towards faults, it’s still odd and not entirely understood. What makes Yellowstone really strange? Yellowstone has quite a few other peculiarities, but one of the biggest questions people wonder are why it switched from flood basalt eruptions to extremely explosive caldera forming eruptions. This is of course assuming that Yellowstone was the culprit for the Columbia River flood basalt eruptions (which may be entirely separate, or only slightly related). It can be assumed that the crust Yellowstone had to punch through changed when it migrated from west to east, resulting in a change in eruptive pattern, but even then, it’s just not that clear. Also, there are other questions relating to the Columbia river basalts: were the two even related? Another interesting scenario is that there is a bit of a chicken vs. egg scenario – did the Columbia River basalts create the Yellowstone hot spot? Or on the other hand, did the Yellowstone hot spot create the extensive Columbia River basalt group? Overall, there are countless unique oddities to Yellowstone, and while it definitely gets too much media hype, it’s definitely an incredibly unique geological area in the world. Masaya Volcano is a large pyroclastic shield volcano that is located close to the major city of Managua in Nicaragua. Masaya lies within a nested caldera complex (6 x 11km) and a highly complex tectonic setting. Many people consider the Apoyo caldera (which is right next to Masaya) to be a part of the same volcanic complex, with both Apoyo and Masaya being related to the larger 30,000 year old Las Sierras caldera. Masaya is a good example of how categorizing a volcano as a “shield volcano” or “stratovolcano” isn’t really a good way to describe a volcano’s activity patterns. As a volcano, Masaya has done pretty much everything a volcano can do. If you doubt this, look at this list for the variety of volcanic activity that Masaya has participated in. Masaya’s size and activity is no doubt influenced greatly by both subduction and tectonic forces that have created graben structures in the region around Managua. Graben structures and crustal thinning in subduction zone areas have resulted in some really really massive volcanoes such as Taupo, Toba, Chacana, Aira, Taal, and quite a few others. More than just the setting, Masaya’s lava itself is incredibly unique. The majority of eruptions at Masaya involve basaltic magma that almost resembles Hawaiian lava instead of traditional arc-based magma. The unique part of Masaya’s magma composition is that it features the highest amount of 10Be/9Be (Radioactive Isotopes of Berylium) in the entire world. Being that I’m not a petrologist or geochemist, I’m not sure how significant this is, but it seemed to puzzle quite a lot of researchers in the papers I read. What Makes Masaya Really Strange? When people hear of basaltic eruptions, they envision Hawaii, or perhaps Icelandic volcanoes. They may even think of the paroxysms that are common at Etna. If you were to be told that a large shield volcano is going to erupt a big mafic eruption, you probably would envision a large fissure-style eruption that goes on for a long time. But that’s not always how Masaya operates. Masaya has had multiple enormous, explosive eruptions that occur with primarily basaltic magma. The last of these large eruptions occurred approximately 2500 years ago, and registered as a VEI-6, being nearly the same size as Pinatubo’s 1991 eruption in the Philippines. This presents an interesting caveat to some volcanic theories that evolved magma is an absolute requirement to form a large eruption. While plinian basaltic eruptions are extremely rare, they have occurred at other areas in the world, with the best example being the VEI-5 eruption that occurred from Tarawera (New Zealand) in the late 1800’s. Tenerife is a very well known stratovolcano in the Canary islands. Tenerife is a member of the decade volcano program, which indicates a high level of danger it could represent to the large population that lives in a close proximity to the summit. Despite the danger Tenerife potentially represents, no major eruptions have occurred in recent times, which helps to make it a popular tourist attraction due to its natural beauty and mystique. The Canary Islands themselves are an interesting spot of volcanism. Volcanism in this area is associated with a hot spot, but the origin and mechanics of this hot spot are still debated (see a VC post from 2012 that discusses one theory of edge driven convection here). Teide is also an enormous volcano, being the third tallest volcano in the world, the second largest shield volcano on earth, and is also one of the oldest active volcanoes in the world being over 12 million years old. The island of Tenerife is an extremely complex volcanic system. It’s a Hawaiian style shield volcano that after a few million years of being effusive, decided it wanted to mix in explosive eruptions as well. As a result, Tenerife has erupted in just about every possible way for a volcano to erupt, and has likely had eruptions that range all the way from 0 to 7 on the VEI scale. There is one very large caldera in the center of the island known as the Las Canadas caldera which is the home to a group of smaller nested calderas and the somma stratovolcano Teide. What makes Tenerife extra strange? From a basic level, Tenerife is a large basaltic shield volcano that formed at a hot spot. So why does it behave in such an explosive fashion? Experts generally would say that this is a result of crustal assimilation and the growth of shallow magma chambers that allow the volcano to produce more evolved (more explosive) magma. While this is likely true, why does this process never occur at other oceanic shield volcanoes? Why don’t we see explosive caldera formation at Hawaii, or Reunion? Even within the canary islands, Tenerife is the only volcano that behaves in this manner, although that may just be a product of its size and age. The fact that a large explosive stratovolcano formed on what is essentially a Hawaiian style shield volcano is very unique to the world, and makes Tenerife extremely interesting. I think it’s a refreshing look at the weird. As for Yellerstone (intentional misspelling), I’ve seen papers arguing either way. The most compelling one noted dike alignments as the plumehead mushroomed out as it hit the crust. I think the paper can be found in the collections over at Mantleplumes. Fair warning to all, even the idea of mantle plumes can be a contentious issue, but less vitriolic than the idea of “Super” duper volcanoes. border and was responsible for the Steens Mountain volcanics.. I have always wondered about the after effects of the Farallon plate subduction myself ..
No, I found an article about it but not actually it. Good article, well Worth a regurgitate. Nice reflection on the weird volcanoes. Thanks! I see there’s been a big quake in the Kamchatka area. USGS: https://earthquake.usgs.gov/earthquakes/eventpage/us20008vhl#executive . Call me weird, but I find this quake interesting. But, it is interesting since it is north of the Aleutian subduction zone. With reverse mode faulting, it appears to me to be the subducted slab still being pushed under the subduction zone of the Kamchatka region. Sort of subduction after being subducted. Interesting deep activity in Vatnajokull. Some deep quakes (11km) east of Hamarinn and also at the Unknownabunga, along the Holuhraun dike, east of Bardarbunga (16km deep). EQ activity at Herdubreid remains at around 3-4km deep. Could 2017 be the year?! Hekla has a correlation trend towards eruptions in spring months, for some weird unknown reason. The only other volcano with a seasonal correlation with Katla, erupting most often in late summer and early autumn months. Hekla is certainly ready to erupt. But I think it will NOT erupt in the next years. Because between 1947 and 2000, nothing extraordinary happened in Iceland (except the rifting events in Krafla, but that was too far away). Since 2000, much has changed in the vicinity of Hekla. First with the large EQs of 2000 and 2008 in the fracture zone west of Hekla, then with the very large tectonic rearrangement in Iceland in 2014 (the Hreppar microplate moved also significantly. For these reasons I am skeptical that Hekla will keep her 10-year-ish cycle. I think Hekla will only erupt some decades from now, returning to her old 50-year-ish cycle. I’m sure it’s gone back to sleep for that long just yet, but I guess it depends on how much pressure it can take, since the current pressure is at its highest level in quite a while. With the suspected failed eruption of 2013, I’m not sure it can take much more of an increase. Maybe one last “big” blowout before a longer dormancy, like in 1845? And although the seismicity looks greater than at any time since 2011, I for one certainly wouldn’t be drawing any inferences, especially bearing in mind the skill required to issue the eruption warning in 2000, on so little data, 30 minutes before it went bang. Or, rather, I’d allow myself one inference: You’re a floozy lady, Hekla, but I love your low down ways! Concerning strange volcanoes–how about our pocket-sized, frictional-heating lil’ Pakistani buddy? –But for me the oddest thing about Nyiragongo is its profile From the magma properties it ought to be a massive low-angle shield (like its neighbour, Nyamagura)…yet it is a steep-sided stratovolcano, with a Hawaiian-like pit caldera at the summit. Presumably more explosive episodes in the past……but that itself raises questions about a ‘reverse evolution’ to more effusive activity. I’ve never seen the explanation for this (maybe a helpful Dragon could oblige?) – even the redoubtable Tazieff managed to write a whole book about the mountain without attempting to explain it. I am glad to see that the US maintains an in-depth understanding of physics..
Obviously I understand what these residents meant. But they could not have chosen a worse way to phrase it. As a lifetime resident here, I can say that Albert has a pretty good grasp of our mentality. Dumb all over, and a little ugly on the side. It’s possible that the BBC reporter was the one guilty of ‘badder phraseology’.